Pink & Lavender Roses to Welcome a Baby Girl! 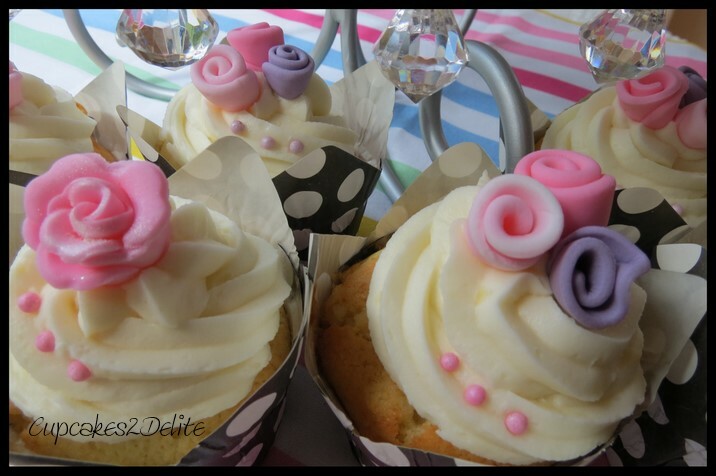 For her baby-shower, Georgina chose these cupcakes with simple pink and lavender sugar paste roses on them. 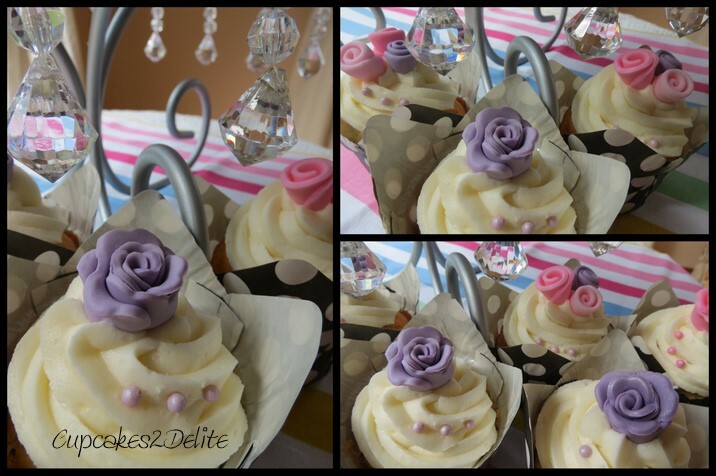 I made delicious vanilla and white chocolate cupcakes and then decorated them with a selection of roses and rolled roses in pinks and lavenders and matching sugar pearls. Wishing you all the best Georgina with your baby girl and may she be a blessing and a joy to you and all your family.